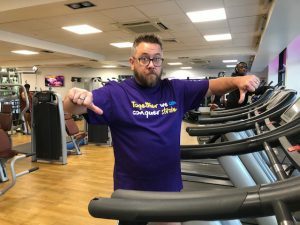 Marcus, Assistant Manager at Djanogly Community Leisure Centre, spills the beans on his half marathon journey so far! Running is something I’ve never really been that into; I’ve been a competitive canoe and kayak slalom paddler, ridden my bike down some very scary mountains, chased after my children, ran beside them as they’ve learnt to ride their own bikes, played football with the lads, but actual pavement pounding running? Well that’s what other people do, right? 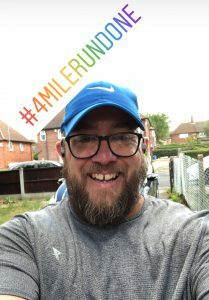 This year I was watching the London Marathon and thought “hmmm, I turn 40 this year and I’ve never tried running as a sport”, and then as quickly as the thought entered my head, it slipped away, or had it? My auntie had beaten cancer before, but it’s come back and spread to her lungs. A few days after her diagnosis she had two strokes, a day or so apart, both small but any stroke is serious. I was at work when I saw on our internal website that there were free Ikano Robin Hood Half Marathon places up for grabs if you ran on behalf of the Stroke Association. Before I had the chance to dismiss the crazy idea, I’d signed up and secured my place in this year’s event! Winning, but am I loving it? When I got home my wife said, “you know that gives you 11 weeks”, followed by “If anyone can do it, you can”. I don’t think I slept that night, I’m not sure if it was excitement or fear! I started my training plan by buying “proper” running shoes to help prevent injury, downloaded the Nike+ Run Club app as advised by a colleague, and hit the gym at work before my shift. Djanogly’s gym is great for marathon training, as you need upper body and core strength along with the ability to distance run, and there’s the health suite where you can relax too and having a Flexible Fitness membership means I can train as often as I want, for a set monthly price. 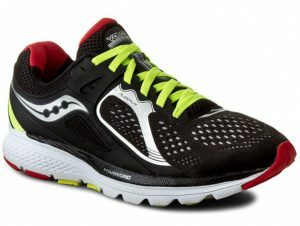 My first 10 minutes on the running machine felt like 100, but at least my feet looked good! After just two days of gym work I ran a 15min benchmark session outside. It was pure torture. By week two, I was still running for minutes not miles. I can’t say I was loving it, but I was doing it and by week three I was able to run for longer. Things were getting serious, I had even brought a phone holder for my arm! I am now 5 weeks into my training plan and covered 23 of the 82 miles I need to complete by “Race Day”, that’s 13 training runs out of my scheduled 41, leading to the BIG ONE. I’ve still not had “that” moment where running becomes an amazing soul enhancing thing that runners rave about, but I do feel fitter. There’s just 6 weeks until “Race Day” so whether the running gods strike me with that lightning bolt of running love or not, ultimately I’m doing this for a great cause, I’m pushing myself out of my comfort zone and trying something new. Check out Active Nottingham’s website for more information about their Flexible Fitness membership, which isn’t just for marathon runners! At least my feet look good!